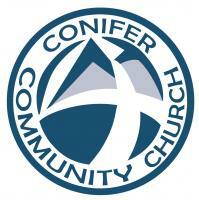 WELCOME TO CONIFER COMMUNITY CHURCH (CCC)! We are a small- to mid-sized church located in the mountains west of Denver in beautiful Conifer Colorado, & one of the oldest churches in the Conifer area, established in 1953. CCC is truly a community church, made up of people from almost any Christian tradition you can imagine, and yet have found unity in spirit and purpose in their relationship with God. We see ourselves as a welcoming faith community, hospitable to all who come seeking the grace of God and the love of Christ. Here you can explore the truths of the Bible in a relaxed atmosphere. We’re proud to be a church where the Holy Spirit is working – through worship, fellowship, prayer, Bible study & outreach. Real people. Real peace. Reaching our community for Christ. Since September 2010 Pastor Lance Swearengin has been serving Conifer Community Church. His mission is to live a life of worship, lead others to know God, & love all with grace and encouragement.